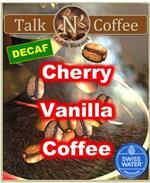 The SWISS WATER® Process is a 100% chemical free coffee decaffeination process that results in great-tasting decaf. 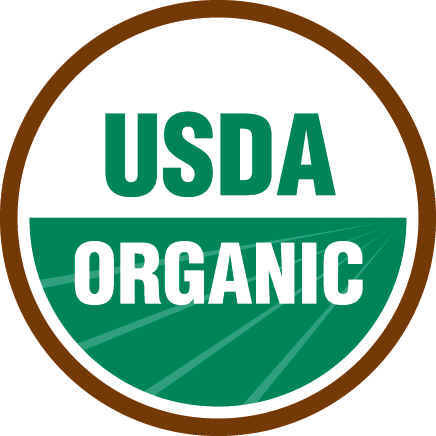 Most other processes use chemical solvents, like methylene chloride, to decaffeinate coffee beans. 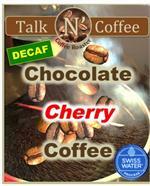 Conversely, the SWISS WATER® Process uses only water when removing caffeine, producing water processed decaf coffee. For those of you who need a little something more. 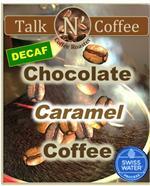 Our exotic SWISS WATER® decaf flavored coffee are just what you are looking for. Using the highest quality beans and flavors, our selections of SWISS WATER® decaf flavored coffee will dazzle your taste buds. Some might prefer one of our mouth watering fruits. Others may enjoy decadent chocolate or a nutty zing, perhaps even a creamy dessert. Whatever flavor of SWISS WATER® decaf you desire, we’ll satisfy it. 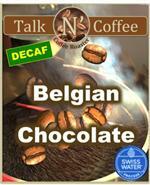 All our SWISS WATER® decaf flavored coffees come in 12oz quantity. All our Flavored Coffee Samplers are ground for drip coffee makers. 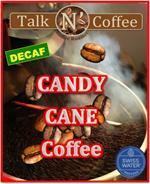 Decaf Candy Cane Flavored Coffee Is a seasonal favorite. 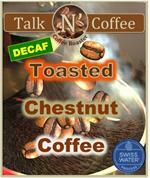 Decaf Toasted Chestnut Flavored Coffee This is a warm, nutty flavored coffee. Decaf Swiss Water Fire Cracker Flavored Coffee - Unique combination of luscious raspberries, cherry. creamy vanilla and blueberry. 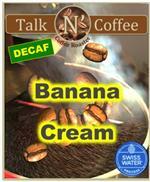 Swiss Water Decaffeinated Banana Cream coffee is full of tropical banana flavor and whipped cream undertones. 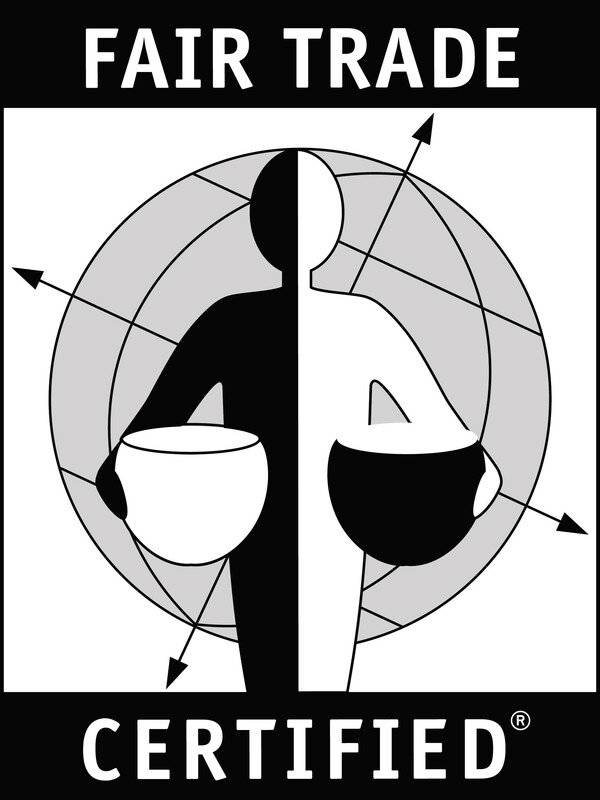 Grab a bag of fresh roasted coffee beans for home and take a bag of ground coffee to the office. Decaf Swiss Water Banana Foster is rich ripe banana covered in freshly ground cinnamon flavored on your coffee beans. 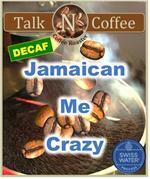 Available in whole bean and ground coffee. 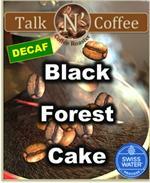 Decaf Swiss Water Black Forest Cake flavored coffee is a dessert in a cup. Gourmet Arabica beans fresh from the coffee roaster taste of rich dark chocolate with red ripe maraschino cherries topped with whip cream. 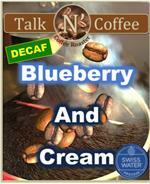 Decaf Swiss Water Blueberry and Cream coffee in your mug and its time for that eight oclock coffee break. Indulge in this premium flavor of a mouth watering blueberry and crumb jazzed up with vanilla creamy notes. 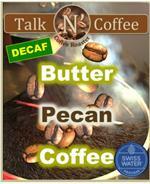 Swiss Water Decaffeinated Butter Pecan coffee starts with our fresh roasted Arabica beans that are tumbled with a roasted pecan flavor with just the right dab of butter and vanilla. This gourmet flavor will have you imaging a yummy butter pecan ice cream. 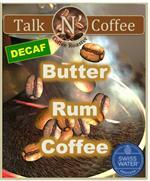 Swiss Water Decaffeinated Butter Rum flavored coffee is just what the Captain ordered for your coffee pot. 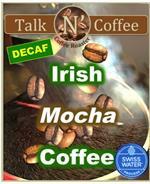 Our Arabica beans or fresh ground coffee will deliver a smooth, creamy and buttery taste in your cup. 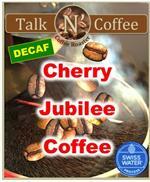 Decaf Swiss Water Cherry Jubilee flavored coffee is like having a cup full of cherries. 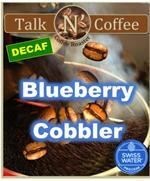 This decedent coffee flavor tastes of sugary dark ripe red cherries. Swiss Water Decaffeinated Chocolate Butter cream coffee is a chocolate lovers dream. 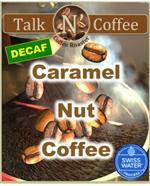 Who wouldn't love this delicious flavor in your favorite coffee mug? 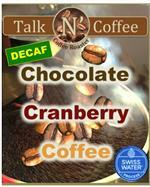 CHOCOLATE CRANBERRY is rich with cranberry taste and covered in chocolate flavoring on fresh roasted coffee beans. 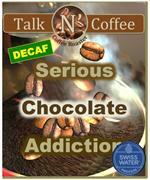 Available in whole bean and ground coffee. 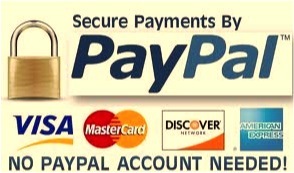 $5.95 Flat Rate Shipping FREE over $50. 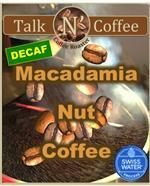 Decaf Swiss Water Chocolate Macadamia coffee will be a star in your cup. Why not dream of Hawaii without spending the big bucks for a tropical vacation. 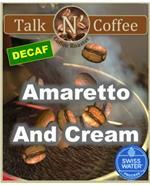 Our Arabica beans are enrobed with this premium chocolate nut flavor and subtle vanilla. Swiss Water Decaffeinated Chocolate Raspberry coffee is sweet surrender to a coffee break. This premium taste of wild raspberries and dark chocolate on our roasted beans will perk up your day. Decaf Swiss Water Cinnamon Bun flavored coffee tastes like a hot warm cinnamon roll right out of the oven floating in your freshly brewed hot cup of coffee. Warm tones of cinnamon with the sweetness of vanilla icing. 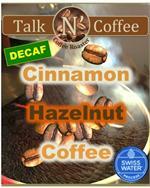 Decaf Swiss Water Cinnamon Hazelnut flavored coffee is a savory blend of fresh cinnamon and mouth-watering hazelnuts. 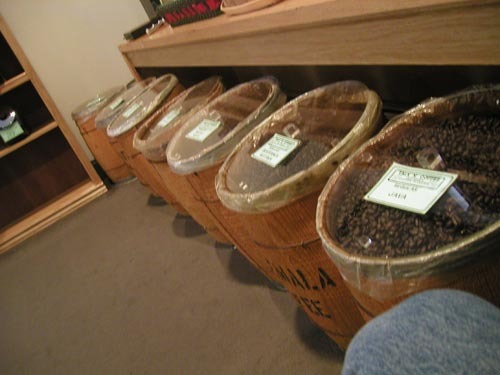 Order whole beans or let us fresh grind coffee for you. The aromatic scent of cinnamon reigns supreme. Swiss Water Decaffeinated Cinnamon Stick flavored coffee is an old world favorite that is warm and sweet. 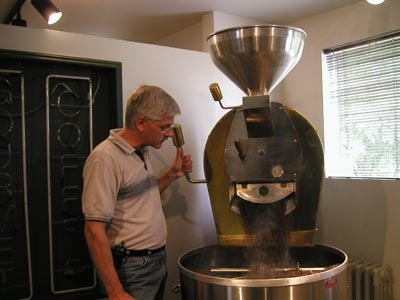 Order whole beans or let us fresh grind coffee for you. The aromatic scent of cinnamon reigns supreme. 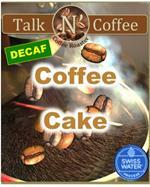 Swiss Water Decaf Coffee Cake Flavored Coffee - is as delightful as the slice of crumb cake itself. 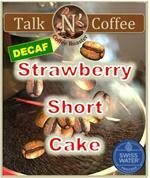 Our fresh roasted beans are transformed by the sweet cinnamon and yummy cake flavor. Get your coffee cup ready for a special treat. 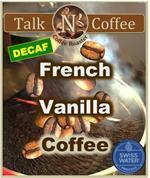 Swiss Water Decaffeinated French Vanilla coffee is a popular flavor for Mr. or Mrs. Coffee. Fresh roasted coffee beans are coated with outstanding vanilla flavor. Creamy vanilla coffee is the star of any single cup. 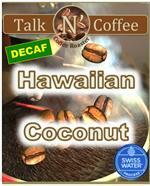 Swiss Water Decaffeinated Hawaiian Coconut flavored coffee is a coconut lovers delight. 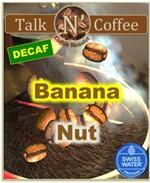 Our Arabica beans are roasted to perfection and then flavored like a tropical Hawaii fruit. This gourmet flavor will have you dreaming of Kona. 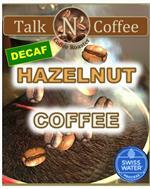 Swiss Water Decaf Hazelnut and Cream flavored coffee Fresh roasted beans are transformed with the creamy vanilla full bodied flavor and imported hazelnut. Decaf SWISS WATER Pumpkin Pie flavored coffee has all the spices of a pumpkin pie in your coffee. This is our number one flavor for the fall. 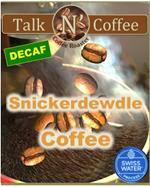 Swiss Water Decaf Snickerdewdle coffee is as yummy as the cinnamon sugar cookie hot from Moms oven. 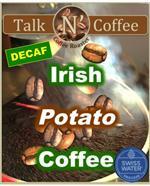 Order whole bean or fresh ground coffee and enjoy a sinful cup of pleasure. Decaf Swiss Water Vanilla Cinnamon flavored coffee tastes of fresh ground cinnamon in your coffee mug with undertones of a vanilla swirl. 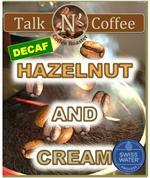 Decaf Swiss Water Vanilla Hazelnut Coffee with creamy vanilla and the all time favorite flavor of hazelnut in your coffee.